* Assorted bagels, cream cheese, jam & butter. * 25 individual orange juices or water. Item comes with everything needed to enjoy your meal! 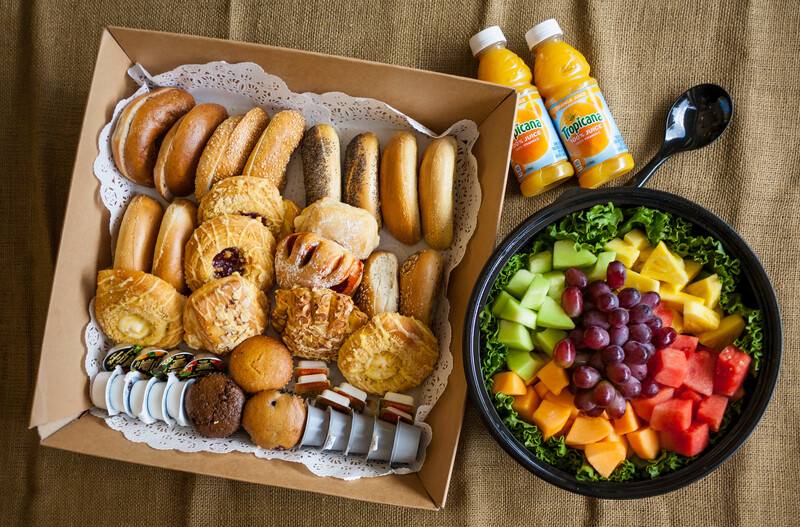 Breakfast includes bagels, pastries, fruit or yogurt, coffee & oj. 1 Order serves 8 people.